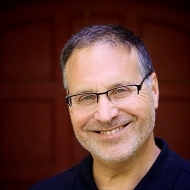 As a life purpose, relationship and spirit coach, Jim Wolfson helps people align with and bring forth their creative powerful selves to create fulfilling lives. After successful careers in the investment business and then directing a children's summer camp, he yearned to work with highly motivated adults. He spent time learning from experts around the world, in order to engineer and refine his own unique way of uncovering and embracing his true purpose, and then began to lead others on their journeys. Jim has served hundreds of men and women as a guide, mentor, healer, advocate and coach. He helps people remember and recover their creative and powerful essence. The experience of tapping into this natural power gives his clients an expanded view of what is possible in their lives and a means to attain it. Jim has brought together two tracks of learning in his work with clients. In the traditional coaching world, he is certified as a life coach and as a relationship coach. His extensive experience as a corporate leader and small business owner helps him relate to those challenges. He has also intensively studied energy medicine practices in the Peruvian and Celtic traditions to help people release old patterns and beliefs. Becoming an expert teacher of yoga, meditation and somatic movement rounded out his abilities as a healer. In addition, Jim regularly leads men's meditation groups and has belonged to a men's circle for years. He brings this large toolkit to his work with people. Jim fluidly combines his experiences so he can coach the whole person. From 'cash flow to spirit', he has the ability to hold a client widely, and to focus where they seek attention and change.